 How Do I Cancel My CallWatch Subscription? Please know you can unsubscribe (or cancel) at any time. If you're having an issue that is causing you to do this, our Support would love to have the opportunity to help try to resolve. Simply send us an email using the Submit a Request found on our support page. Should this not currently be an option, to cancel your CallWatch Subscription, open the slide out menu in the app. Find and select About, then select Account Information. Then select Cancel Subscription, and confirm you would like to cancel by selecting Continue from the pop up that appears. If you would not like to Cancel your subscription, select Cancel. Also, you can contact your carrier as well. For Sprint/Boost/Virgin Mobile customers, you can reach a representative by dialing *2 from your mobile phone. Note: Uninstalling or deleting the app will NOT cancel your subscription. All subscriptions remain active until cancelled.